Drug possession charges can lead to disastrous outcomes for people, including jail time and loss of future opportunities. A drug possession conviction may make it impossible to obtain student financial aid in the future. A marred record can rule out future military service or other government employment. The ability to travel internationally without limitations can be lost as a result of a drug-related arrest. If you have been charged, arrested, or accused of drug possession, it is urgent that you contact an experienced criminal lawyer who can help you fully explore your options. In the leading case of People v. Smith, 447 N.E.2d 809 (Ill.Sup.Ct. 1983), Ronald Bell made the argument that set the legal standard for search of an automobile that still controls in Illinois today. You may have been arrested for possession, use, or distribution of heroin, cocaine, marijuana, or meth. Your legal problems may be only one side of the story. 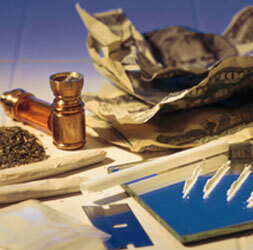 A drug abuse pathology may be your underlying challenge. If your drug use interferes with your ability to act with reasonable judgment, it is a medical and psychological problem which needs to be addressed just as urgently as your legal problems do. Lake County and Libertyville attorney Ron Bell enjoys helping clients find the route to getting off drugs, resolving family law problems, and otherwise dealing with problems related to drug abuse. Clients who deny that they have an addiction or dependency problem often come to realize that treatment of that underlying illness is the key to preventing future arrests and even death. Drug possession clients of Ron Bell are not only low-income or underprivileged individuals. They are teachers, lawyers, nurses, and doctors. Putting these people in jail may help them dry out for a time. But drug abuse treatment entered into in good faith is the only reasonable resolution for many accused abusers. As your drug possession charges attorney, Ron Bell will do his part as an experienced criminal lawyer to help you receive the least punitive court outcome. He will staunchly compel the state to fully meet its duty of proof before allowing a client to go to jail. 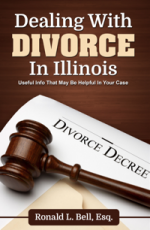 At the same time, he sincerely hopes to see you start anew with a fresh outlook and a resolve not to waste any more time, money, or emotional energy on criminal defense. To schedule a consultation with an experienced criminal defense attorney regarding your drug possession accusations, charges, or arrest, contact Ronald L. Bell & Associates, P.C. through our contact form or by phone at 847-495-6000.